Once all products have been installed and tested, we will provide a training session to you and your staff. Topics covered include the proper operation, cleaning and maintenance of all the equipment. Our priority is for you and your staff to feel comfortable with the new equipment. 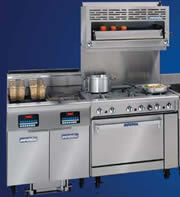 We strive to provide you with the resources you need to run a safe and effective kitchen!